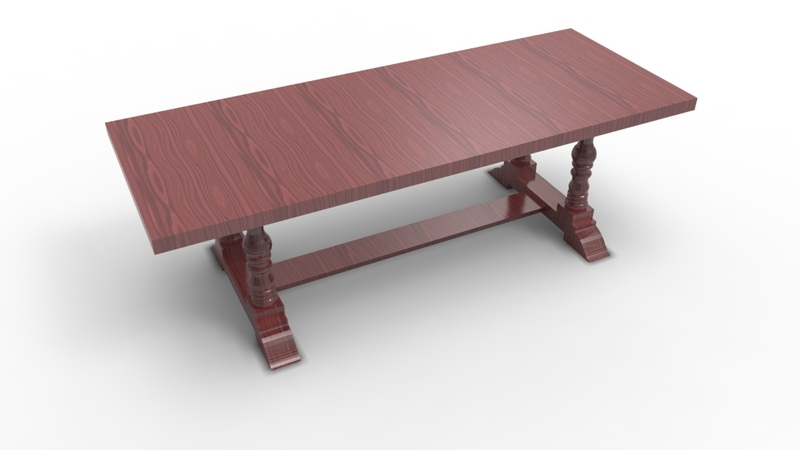 With the aim of helping you try harder in the area of Computer aided furniture design, I am coming up today with this simple wooden dining table to model and render. 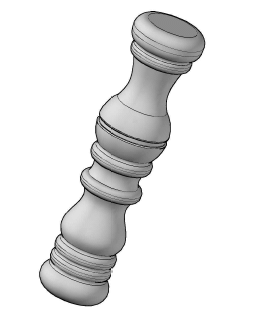 The most interesting parts to model in this example are legs. The table top part is in itself the easiest part to model. 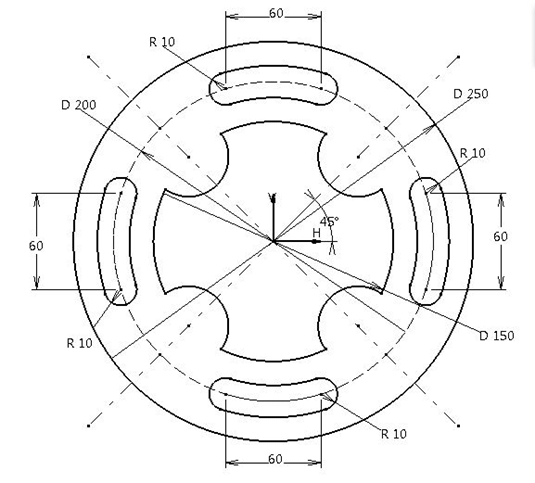 In this post, you will need to model this similar figure using approximated dimension, the most important being the technique used. 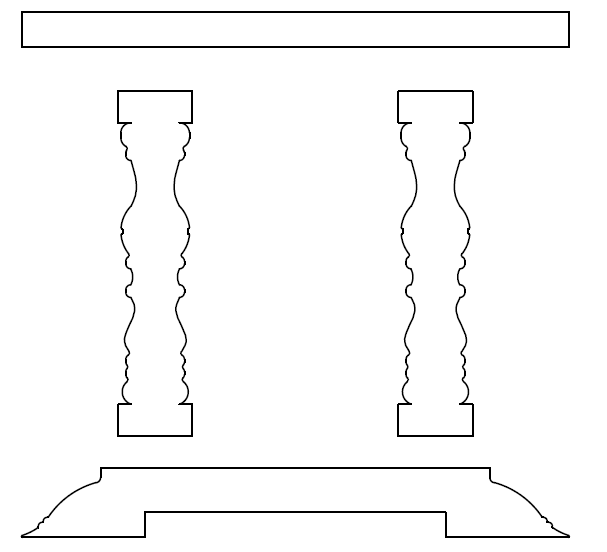 The best way to start this session of furniture design in AutoCAD is to start by modeling those legs. 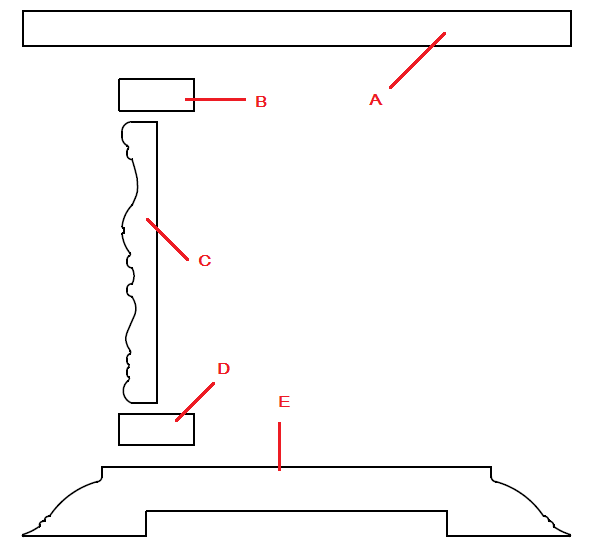 We can easily at the end model the top of the table and add it to the final design with no hassle. 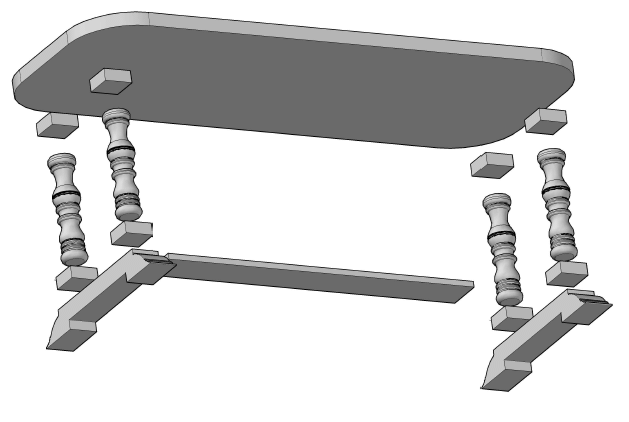 And to be able to use these part to get the 3D equivalent of this dining table, you will need to use the following parts. Where you will be using the REVOLVE command on the object C, and the EXTRUDE command will help you best for the rest of object. You can easily get the Object C using the SPLINE command line. 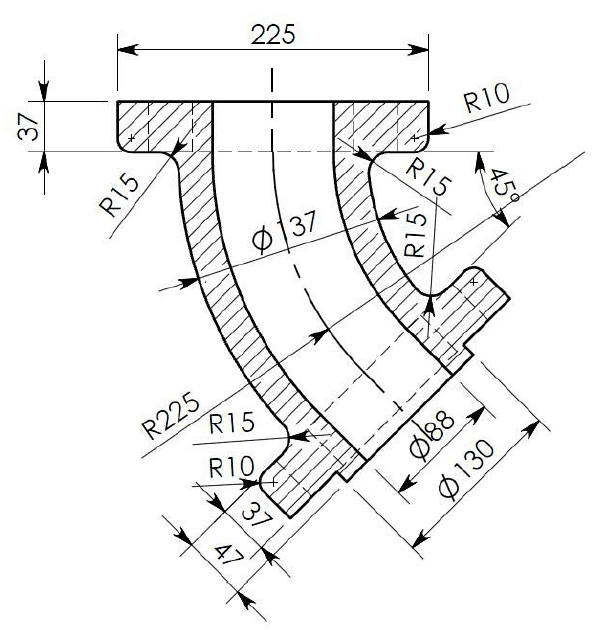 You can as well use the combination of the ARC command with the FILLET command. The most important being to end up with something looking like this. You should be able to get to a point where you can get you model look like the following. 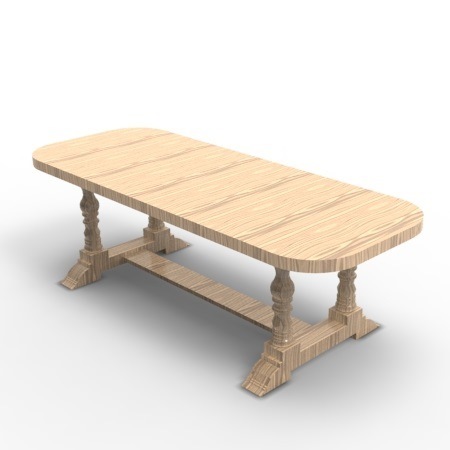 After the modeling using AutoCAD, I used Keyshot to render the final model, and as you might have noticed, I found the dining table more “cute” when having the top of it exempted from the 90 degrees edges. 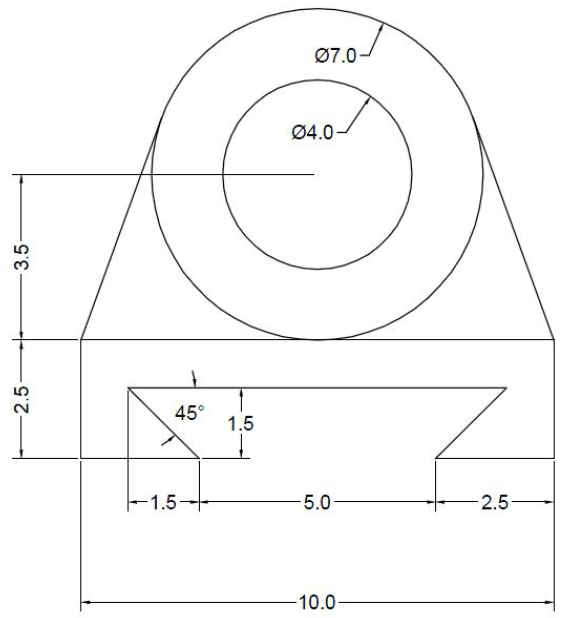 You can download the whole model below, where I kept the 2D pieces to guide you.